Ah, Hollywood Studios. What a park. Or shell of park. The sign really should read “Coming Soon Studios” or “The Land of Forgotten Attractions” instead of Hollywood Studios but we’ll get to all of that in a bit. For now, let’s kick this post off with a little history lesson on how the park came to stand today. The original concept for Hollywood Studios was created…by accident. No, really. Two of the Imagineers working on Epcot had initially created two pavilions (remember Future World is made up into pavilions), the first called Wonders of Life (which did open as a pavilion during park opening but today serves as the Festival Center operating seasonally) and the Great Movie pavilion featuring the Great Movie Ride that ultimately opened at Hollywood Studios on its grand opening day. 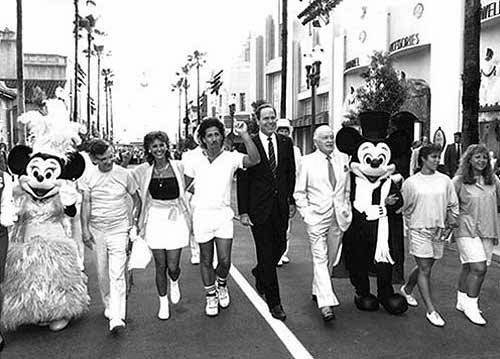 The CEO at the time, Michael Eisner asked the Imagineers if they could instead create an entire theme park built around the concepts of the two pavilions. Opening on May 1, 1989, Hollywood Studios original name was MGM Studios based on a licensing agreement with the MGM Company. The reason for this important relationship was Hollywood Studios was initially created to be both a theme park and a working production studio, just like the studios in Hollywood, California. The park would be dedicated to film, television, music, and theater, while creating its own media. Today it looks quite different than it did opening day, but it still is the 9th most visited theme park in the world. First, let’s quickly address the name change. Hollywood Studios received its present name in 2008, after the relationship with MGM Studios finally ended. The MGM Studios relationship was tumultuous from the beginning, so many Disney historians believed this partnership wasn’t built to last. During the first few years of the agreement, both companies threw lawsuits each other’s way over regarding activities both companies were engaging in outside of the agreement (MGM was building a theme park in Las Vegas, Disney was producing media outside of MGM, etc). Additionally, throughout the 2000s, all production capabilities were removed from the park. I do want to note that in 2015, Disney CEO Bob Iger hinted at yet another name change for the park after an adorable interaction with a child audience member. Seriously, it’s so cute to watch a child pull a “big secret” out of a Fortune 100 CEO. Despite this apparent slip up of the CEO seemingly spilling the beans, the company rejected the name change rumor once and for all in February 2018. But who really knows. Anyway, from here on out, I will refer to the park as Hollywood Studios, regardless of the timeline, just to keep things easy and less confusing. On opening day, Hollywood Studios started out with just two attractions: The Studio Backlot Tour and the Great Movie Ride. The Backlot Tour took park guests through the working studios located on park property. The Great Movie Ride was a movie themed ride taking guests through film history and featured some of the most well-known, classic films ever made. The park remained this way for 5 years until 1994 when Sunset Boulevard was created featuring The Hollywood Tower Hotel and the Streets of America were created to alleviate the congestion caused by the growing attendance numbers. The park’s attraction list continued to grow from there. The park’s original icon (like the castle at Magic Kingdom) was the Earful Tower, a water tower featuring the famous Mickey Ears Hat. This served as the park’s icon from 1989-2001 when the Sorcerer’s Hat from Fantasia (in conjunction with the release of Fantasia 2000) was placed in the main area of the park. Removed in 2015, the hat was quite controversial amongst Disney purists. I personally liked it. Today, there’s a lot of debate over the park’s icon. Some say it’s Chinese Theater at the end of Hollywood Boulevard, an exact replica of Grauman’s Chinese Theater in Los Angeles. Others will say it’s the Hollywood Tower Hotel attraction. I don’t really lean one way or the other for a few reasons. The first is that the Chinese Theater has been at the park since its opening so it could have been the park icon all this time but it wasn’t; the Earful Tower was (there was also some contractual issues with the usage of the Chinese Theater as the icon which is a main reason behind the Sorcerer’s Hat being built but I won’t dive into that). On the other hand, with the Tower of Terror attraction in Disneyland’s California Adventure receiving a Guardians of the Galaxy overhaul just last year, I am not 100% convinced that the Hollywood Studios version won’t receive the same treatment once Star Wars land is complete and the licensing agreement the Twilight Zone ends. Bring back the Earful Tower! Okay, okay, I’m moving on. As I mentioned above, all production capabilities were shut down in the 2000s including the animation unit in 2004 and the former soundstage in 2007. I distinctly remember seeing these parts of the park as a child and thinking how cool it was to be a part of the making of media. I saw quite a few young stars while riding the Backlot Tour filming Disney Channel shows. As the park moved away from the production side of things, they had many exhibits featuring real props from famous movies like the getaway car from 101 Dalmatians. I do miss this version of Hollywood Studios as I loved how different from any other theme park it truly was. But alas, change must come! In the 2010s, all studio-like attractions were also completely phased out of the park including a Drew Carey show, Who Wants to be a Millionaire (I came in 7th place once, tooting my own horn here), the American Idol experience, a Captain Jack Sparrow themed attraction, and most notably, the Studio Backlot Tour. I know that without any backlot to tour the attraction didn’t make any sense and yes, it was outdated but ask any Disney purist and they’ll most likely tell you that this one still hurts. And that’s not the only closing that hurts. In 2016, the Streets of America closed meaning that last of the Osborne Lights spectacle was put on. The Earful Tower was also removed in 2016. These two removals still have me a little bitter. Finally, in 2016, the Lights, Motor, Action! Stunt Show closed down. I personally enjoyed this show, although I found it a little long. It never quite landed with guests as Hollywood Studios. It was brought over from Disneyland Paris where it was, and still is, a huge hit. But as the Disney Company will tell you, different things translate different in each country’s parks. To round off the sad closings, the final nail in the coffin to the old Hollywood Studios came in 2017, with the closing of the Great Movie Ride, the last original piece of the park. It is scheduled to be replaced by Mickey and Minnie’s Runaway Railway. Look, I’m super excited about the railway, I am. I just think it could have been erected elsewhere in the park. Before we move onto the park today, I do want to pay a quick tribute to the Osborne Family Spectacle of Dancing Lights. Of all the closings at Hollywood Studios over the years (and the parks in general actually), this one upsets me the most. In the very early 90s the Osborne family (no not those Osbornes) of Little Rock, Arkansas decorated their home at Christmas with an absurd amount of lights, adding more every year. By 1993, the family was putting up over 3 million lights. This of course drew national attention and several cities reached out to the family to host the display in their own towns but Disney won out. For almost 10 years, the Osborne Lights danced in the Streets of America in Hollywood Studios. And just like the original, Disney’s version grew and grew. During its last year in 2015, Disney put up over 10 miles of lights requiring 800,000 watts of electricity to light. It was truly an incredible sight to see; one that still gives me chills thinking about it. The lights were solid except for every 7 minutes when they would dance to a famous Christmas song. Fake snow, or as I call it Snowpe (it’s literally soap), fell down from the sky creating an incredible winter wonderland. I miss it dearly and I will forever hold out hope that they will bring it back. Maybe, possibly, PLEASE DISNEY! Okay, okay, enough backstory and bitter Katherine. Let’s get to the park today! And while I may seem bitter and sad about the old Hollywood Studios, I am excited for what’s coming! Fun fact: Hollywood Studios shares a “sister park” in Disneyland Paris; I’ve been and it’s very similar with a few additional attractions. So let’s talk about the shape of the park. Guess what, it’s not a wheel! When it was originally created, it was actually in the shape of a hidden Mickey Mouse. Unfortunately, after much expansion and construction it’s now more like a fat t-ish shape (or will be once Star Wars is done). When you first walk into the park, you walk down Hollywood Boulevard, created similarly to Main Street USA, featuring shops and stands. At the very end of Hollywood Blvd, you see an exact replica of Grauman’s Chinese Theater, the original located in Los Angeles. Also at the end and on your right side is the Brown Derby, an exact replica of a restaurant in Los Angeles by the same name. If you take the only true right off of Hollywood Blvd, you will find yourself of Sunset Boulevard, inspired by the street in Los Angeles of the same name. This area features iconic attractions like the Tower of Terror (one of my favorite attractions) inspired by the Twilight Zone and Aerosmith’s Rockin’ Roller Coaster. Here you’ll also find some of the parks best entertainment offerings: Beauty & the Beast Live on Stage and the Hollywood Hills Amphitheater featuring Fantasmic!, a nighttime water and lights show with Sorcerer Mickey. You’ll want to FastPass either Tower of Terror or Rockin’ Roller Coaster based on your preferences and timing. If you get to the park early in the day, you won’t need either. Both attraction start getting busier as the day goes on, although Tower of Terror’s wait times tend to fluctuate more than Rockin’ Roller Coaster’s. That being said, Rockin’ Roller Coaster does have a single rider line option if that’s something you and your family are able to do. Additionally, if there’s two showings of Fantasmic!, always try for the second showing as it’s a little easier to get your preferred seat. If you do chose the first showing, make sure to get there at least 30-45 minutes (err towards 45) prior to show time to get a good seat. No one likes standing at these kinds of things, am I right? Behind Sunset Boulevard and northeast of the Chinese Theater is Animation Courtyard. This area has also seen some changes over the years. As it stands, today you can see two shows, Disney Junior Live on Stage and the Voyage of the Little Mermaid. Animation Courtyard also houses Start Wars Launch Bay where you can meet some of your favorite Star Wars characters, Kylo Ren, BB8, and Chewie. 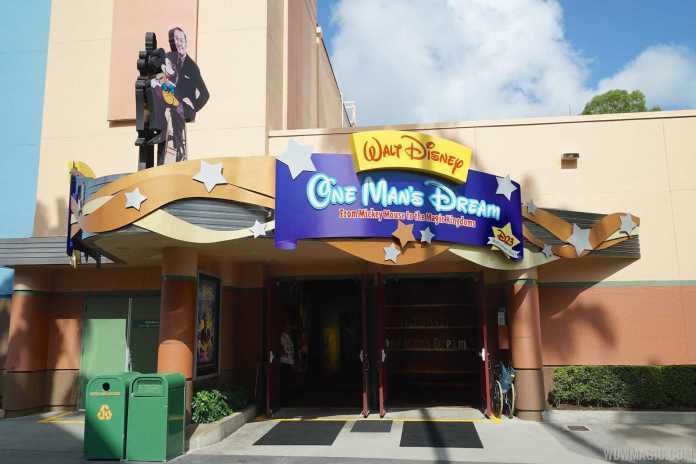 Finally, this area houses One Man’s Dream, a timeline look through Walt Disney’s life including a short video narrated by the legendary Julie Andrews. This area always makes me a little emotional because I look up to Walt so much. Now I know you may not feel the same as me so if I can entice you into this area, it’ll be by letting you know that they always have 3D models of what’s coming next to the parks around the world. Right now, you can see a partial 3D model of the new Stars Wars Land. It looks AWESOME. If you take the first left off of Hollywood Boulevard, you’ll find yourself at Echo Lake, an area designed to mimic the “California Crazy” architecture of the Hollywood Golden Age. This section of the park is actually quite large and if I had to guess, the structure of this area will change slightly with the opening of Star Wars Land next summer. As it stands, this area contains the Indiana Jones Epic Stunt Spectacular Show (although I do believe this will either get the ax or get an upgrade after Star Wars Land opens), Star Tours, Star Wars Jedi Training (perfect for your kiddo! ), the Hyperion Theater featuring a Frozen sing along (yeah, I’m over it too and so is everyone else), and the ABC Sound Studio offering a short film called Star Wars: Path of the Jedi (I’m assuming this will also change with the new opening of Star Wars Land). Food wise, you’ll find a number of very popular options: Hollywood & Vine (buffet), 50’s Prime Time Café (a favorite of mine, don’t miss the fried chicken), ABC Commissary (a great quick service option), and the Sci-Fi Dine in Theater. I’ve never eaten at the Sci-Fi due to the fact that I come from a family of 3 and it’s built for even number groups but I have heard great things about it! If you continue through Echo Lake towards the back, you’ll come across Grand Avenue, inspired by Grand Avenue in Los Angeles. There’s not a whole lot going on here these days; this area used to lead you to the Streets of America, the Light, Motor, Action Stunt Show, and the Backlot Tour. Originally, this area was supposed to be Muppet Studios but after Jim Henson’s death, the overall deal fell through. It does house Muppet Vision 3D, however, the only Muppet attraction to make it from the plans. You’ll also find Mama Melrose’s Italian restaurant (it’s just okay in my opinion) and PizzeRizzo, a seasonally operating quick service location serving, you guessed it, pizza. Finally, the last piece of the park towards the back is the new Toy Story Land, which opened this past summer. While it wasn’t as big as I was hoping or expecting, I will still very pleased with how it turned out. The entrance for guest favorite Toy Story Midway Mania was moved to the back of its building location and now is placed within the new land. We also saw the addition of the Slinky Dog Dash, a family friendly roller coaster type ride (get the back seats, it feels like an actual slinky! 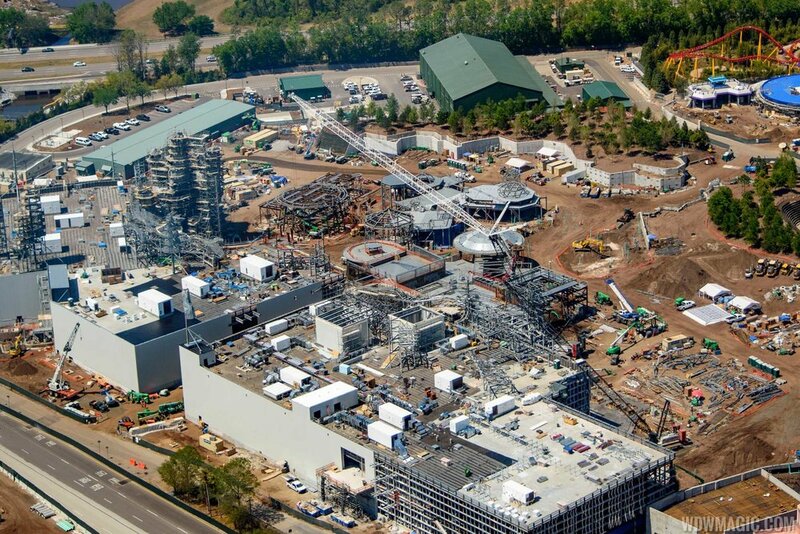 ), and the Alien Swirling Saucers, similar to a Mater/Cars themed ride in Disneyland’s California Adventure. The overall theming for the new land gives the illusion that you are in Andy’s back yard. While small, this new land certainly packs a punch in its offerings. All three attractions are great (although you should really FastPass SlinkyDog and Midway Mania if you can) and I loved the new quick service area serving homemade PopTarts (delicious!) and a Grown Up Lemonade (and yes, you can get it at 8am). Due to the new land being, well, new, I highly suggest getting there right at park opening, and if you can, lining up before park opening. This will minimize your wait times and allow you to enjoy the land more before the crowds (and Florida heat) kick in. COMING SOON! 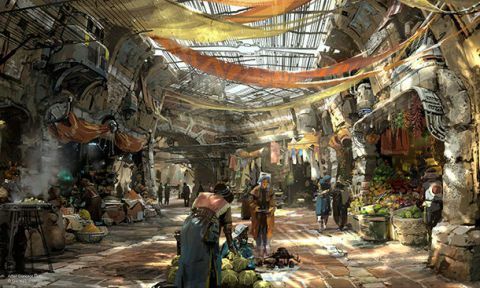 Star Wars Land is set to open in summer 2019 and I cannot wait. We don’t have a ton of information other than an overall glimpse into what’s to come. 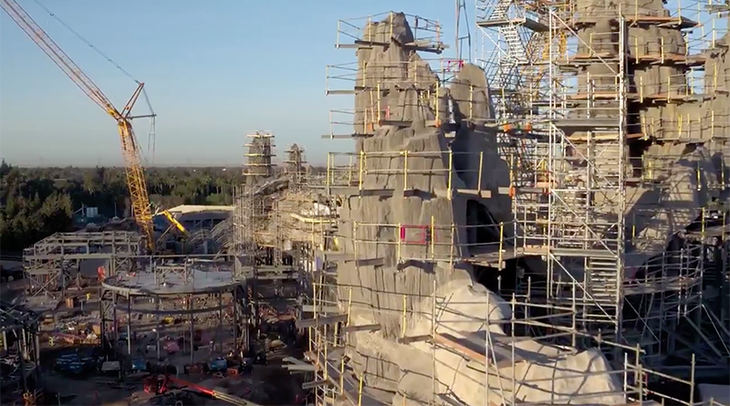 We know there will be two main attractions and full size Millennium Falcon that guests can experience. We also know that there will be a Star Wars themed hotel that guests can stay in and experience what it’s like to be a Jedi. This hotel will have a direct connection to Star Wars Land and Hollywood Studios. Pricing and booking information hasn’t been released yet but the rumor mill is saying one night will cost you upwards of $1,000. Start saving your pennies, folks! Did I miss anything you love about Hollywood Studios? Let me know! I’d love to hear it!